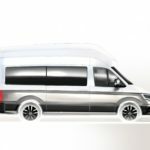 Volkswagen Commercial Vehicles has taken the 2017 California XXL concept vehicle and developed it into a camper van ready for full production. 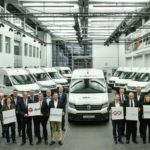 The company will present the new Crafter-based camper for the first time at the 2018 Caravan Salon in Düsseldorf (24 August to 2 September). 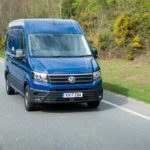 Volkswagen Commercial Vehicles has marked the start of spring with a host of new finance offers which make it even simpler for customers to choose from the brand’s acclaimed model range. 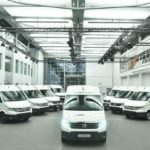 Volkswagen Commercial Vehicles has secured a deal to provide East Riding of Yorkshire Council with 129 new vans. 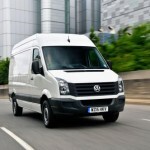 Volkswagen Commercial Vehicles has recorded its best ever half-year sales performance in the UK. 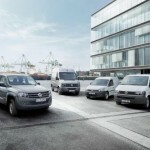 Volkswagen Commercial Vehicles increased sales of Amarok, Caddy, Transporter and Crafter models in Western Europe by 6.2 per cent during the first five months of the year, taking total vehicles shipped to 117,500 (last year: 110,600).